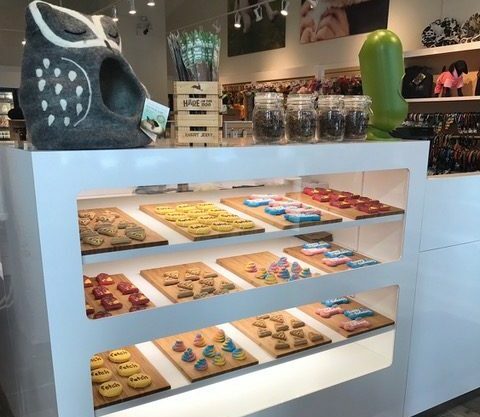 Store Spotlight: Bone & Biscuit Etobicoke - Bone & Biscuit Co. This week we introduce the Bone & Biscuit Etobicoke to share their experience and local insight! 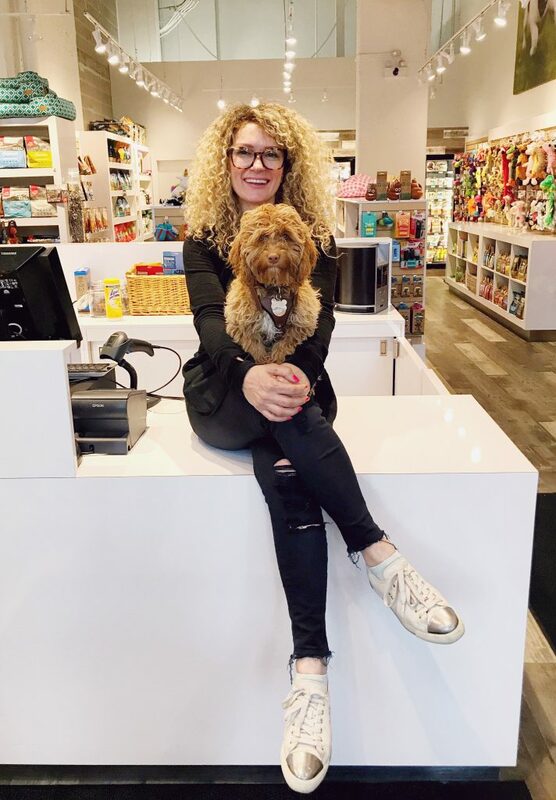 Read on to learn about the new store owner as she shares her story. We opened on February 22nd and had such a fantastic reception from our community! We’re in a neighbourhood of animal lovers and we immediately bonded with our furry customers and their parents. There were so many adorable visitors we could not resist giving them kisses and treats! 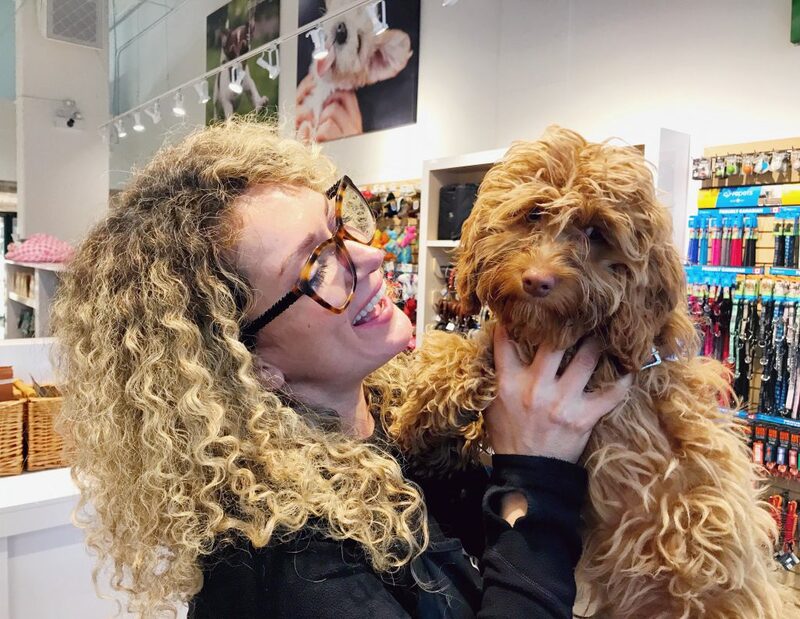 We’ve loved seeing the dogs make a beeline for the store to get spoiled since our opening!! We’re really lucky and excited to be among so many caring owners and fur babies! We are located in West Lake Plaza at the corner of Lake Shore and Park Lawn. We are in a new little addition north of Metro, LCBO and Shoppers Drug Mart. Our neighbours will soon be Freshii and Massage Addict. With TD and Scotiabank, a few places to eat and Orange Fitness all in the same plaza, it’s a one-stop shopping centre! 4. What is your best selling product/toy right now? Our furry customers just cannot resist our snack station full of treats! We’re always trying to add new items for them to try. Duck wings and bully sticks are some their favourites! Our customers care so much about their pets and are extremely health-conscious as well. The Omega-3 supplement and pre and probiotics are some popular health supplements that our customers use to boost immunity and maintain healthy gut flora! This is a family owned/operated business. I would not have been able to do this without the support of my amazing partner, Jim Honyotski, who has been there for me through all the trials and tribulations of making this happen! We also have an amazing team that help us serve our customers. We sure do! 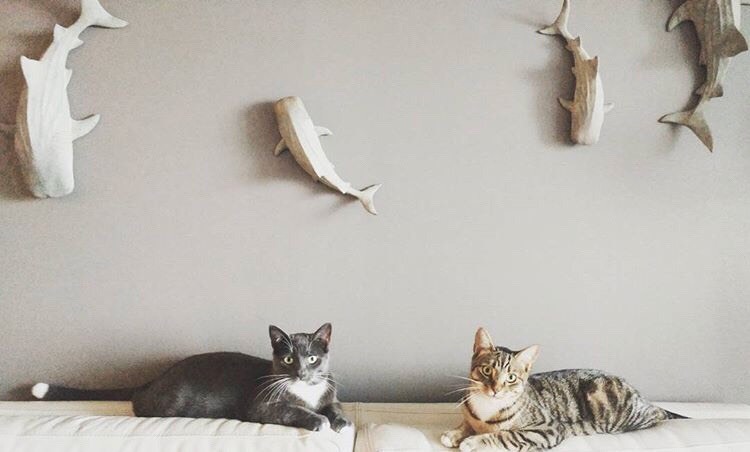 We have two rescue cats that are bonded brothers and were semi-feral when we got them from Toronto Cat Rescue. They were inseparable and are still rarely more than ten feet apart (except when Grayson needs a break from his brother Chance, who is a little too busy for all of us)! We also have our store mascot and model Reddington, who is our newest addition. He’s a cockapoo and can be seen frequently on our Instagram page! There are a few puppies his age that he loves to play with (or tries to take them for a walk!) but he is happy to stay and play with his toys in the back when we have some more mature visitors! Reddington is going through a major teething phase and just loves to latch onto our hands and his leash, but we keep him occupied with some bully sticks and antlers! 8. What has inspired your interest in owning a Bone & Biscuit location? 9. 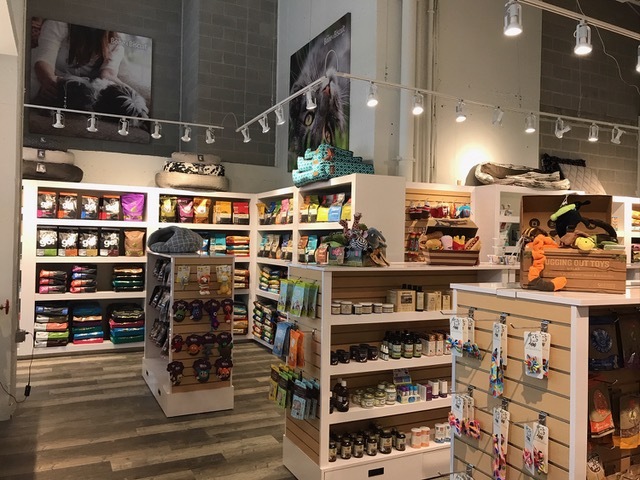 Reddington hit the jackpot now that you run a specialty pet supply store! What kind of toy/treat does Reddington currently love? Reddington loves his purple Unicorn stuffed animal to play with. He loves chicken feet as a treat, but definitely is not picky, he’ll eat anything you give him! He loves seeing his furry friends inside or outside the store when we go for walks. 10. Where is the nearest dog park? 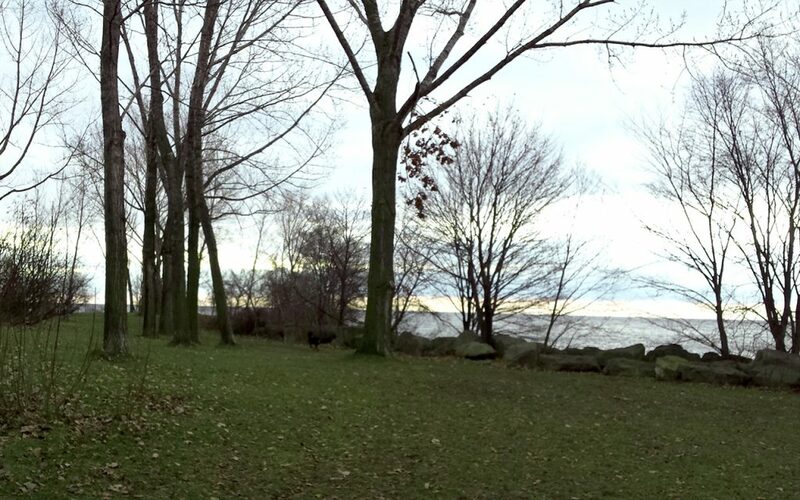 Humber Bay Park West Dog Park is a short walk away and is a beautiful scenic spot right on the lake! 11. What is the best advice you could give to new pet owners? Patience and love and rules. I find with Reddington really responds positively when we are practicing a lesson or a trick he learned. This little puppy is learning to give good eye contact at the moment! Another important thing I’ve learned as I’ve gotten into this business is to read the ingredients on food and treats, especially the first few! If corn and soy are listed, leave it on the shelf, no matter how pretty the packaging or how expensive the food! Thanks for the spotlight, Dora!